Police are looking for the person who walked up to three people sitting in a parked car near the University of Chicago?s Hyde Park campus and opened fire. CHICAGO (WLS) -- Two men and a woman were shot in an alley near the University of Chicago's Hyde Park campus overnight. Police said all three victims were sitting in a parked car in the 5400-block of South Ellis Avenue around 12:30 a.m. Monday when a man walked up and opened fire. The silver car was riddled with bullet holes. The 22-year-old woman was shot in the chest and abdomen. She is listed in serious-to-critical condition at Stroger Hospital. A 35-year-old man was shot in the left leg. He was also taken to Stroger Hospital, where he is stable. A 24-year-old man was shot in the chin, chest and left leg. He was taken to Northwestern Memorial Hospital in serious condition. His condition later stabilized. According to an alert sent to University of Chicago students, the three victims are not affiliated with the school. However, they ran into a school parking garage, located at East 55th Street and South Ellis Avenue, after the shooting. Katrin Asbury, who lives nearby, thought she heard a car crash or garbage cans rustling overnight. She later learned what she heard was gunfire. "You know, it goes on all over Chicago. Of course it's scary having it happen here, where there are small children. But it's just sad for it to happen to anybody, you know? So it's worrisome. It makes me wonder who's involved and I hope none of my neighbors were hurt," Asbury said. Area Central detectives are investigating. No one is in custody. "Disconcerting, but this is a city where things like that happen. There are no quote- safe and unsafe- areas. No place is immune," Shawn Greene said. Over the weekend, four people were killed and 25 were injured, including the three in Hyde Park, in shootings across the city. 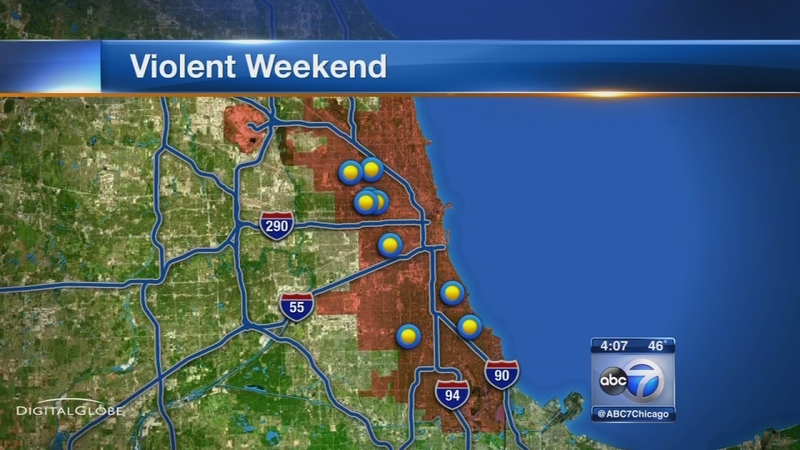 Over the weekend, four people were killed and 25 were injured in shootings across the city.